Many people find that running or working out in a group provides the positive support needed to keep them motivated. Over the years I have discovered that I prefer to run alone. While doing that it is good to challenge yourself in alternative ways from group competition. 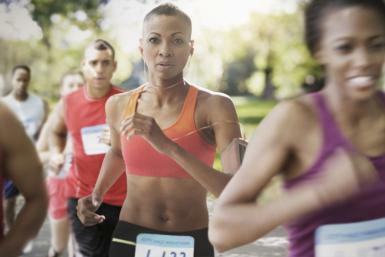 The negative split is described as “A perfect negative split run is when each mile is faster than the last. Most runners still consider the run to be a negative split if you start slower and finish faster, even if there is a mile or two in the middle where your pace is slightly positive.” often I consider running the second half of my run faster then the first. In addition to the physical benefits of this challenge the mental game helps with focus. What if I swing my leg just a fraction further, what if I run these stair just a little harder, small incremental changes can make all the difference. Also since in a morning runner most of my first half if a run i am waking up so improvement is possible. This is a good process for all of life. The big goals get most of the attention, perhaps too much. The incremental changes in our life and work make most of the differences. if you are good with the small things the big things tend to line up. So what does it mean just to be a little better then yesterday. Taking one extra minute to reread the article or email you wrote, make that additional call, or whatever it may be.